Do be sure to pop around the other cohosts and check out their siblings photos. I'm sending you to Keri-Anne this month, she always shares the most beautiful images of her girls who share such a lovely closeness that just shines out of her photos. Keep following the circle around until you get back to the beginning, and of course link up your sibling photos below, I can't wait to see them all. Love this! How lovely to feel so complete. 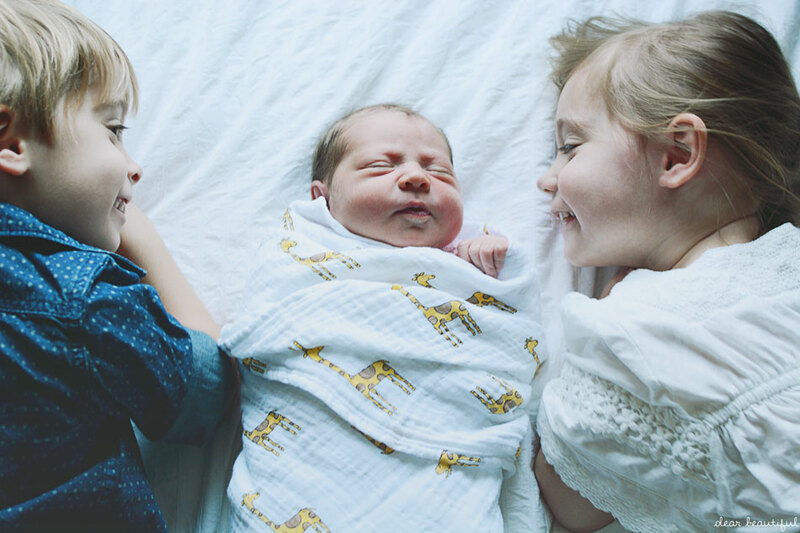 Ahhh Lucy these are stunning siblings photos, welcome baby Flump to the world of blogging and we are so happy to see your gorgeous fast with your two amazing siblings. I bet BB and BG will be the very best of silbings to her. They look in awe of her in the first photo I love it. Cant' believe you are blogging so much already just after birth you are amazing. Thanks for hosting. 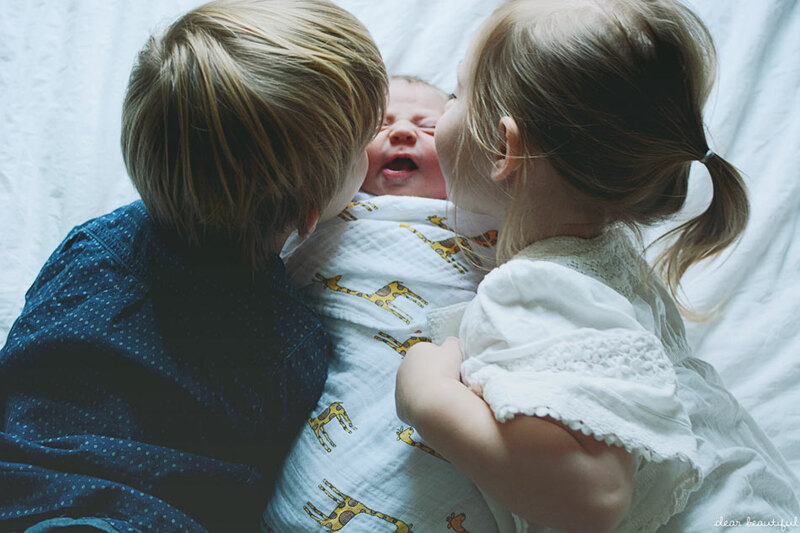 Beautiful photos, you can see that they already love their little sister! I'm getting so broody seeing your little addition, she is gorgeous. Huge congratulations, and enjoy this newborn stage, it goes so fast! Oh Lucy! Look at them! Three is just the best! I'm not sur mine have ever gotten over the fascination with Jonas. You might find they don't get bored of her at all! Sending so much love and many congratulations... And look at that! 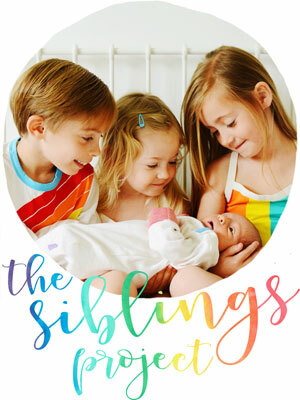 She timed it perfect for #siblings ! Almost like she knew! I am in tears. This is so beautiful and I'm so incredibly pleased to see her in your siblings photos. It feels like such a long time since you announced you were pregnant and what a journey you've been on. Welcome to the Siblings linky Flump! So sweet!! 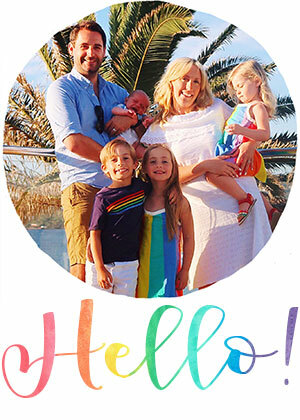 I love that they both drew pics of the family with baby in it before she even arrived...perfection!! It's so amazing how they slip into the family like they've always been there!! Oh my god these pictures!! Oh, LUCY. I think the first one has probably done something permanent to my ovaries. 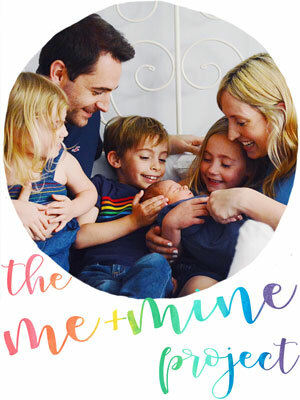 These photos are absolutely beautiful and what a perfect way to capture the early days of being a family of five. Congratulations. Precious moments seeing your older children with the new baby...just makes your heart melt! Ahhh the cutest! Huge congratulations. They look like wonderful big siblings! congratulations! I'm glad you are all doing so well!